Hiding in the function room upstairs is a somewhat surprising dart board. There’s not a lot of space, and there may be some tables in the way, but it’s a friendly place well worth knowing about. Avoid Monday nights, when the room is reserved for the Dungeons and Dragons club. Tell us when you last played there, so we know the board is still up – and do leave any interesting (clean!) stories while you’re at it. 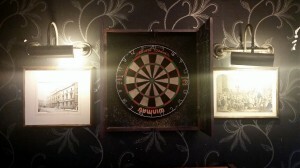 Visited just before Christmas and after rearranging some furniture had a great game of darts in the small upstairs room. 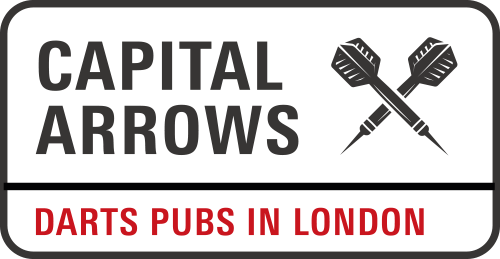 Getting a round of pints up the narrow stairs and through the door will test your skill and dexterity nearly as much as the darts.